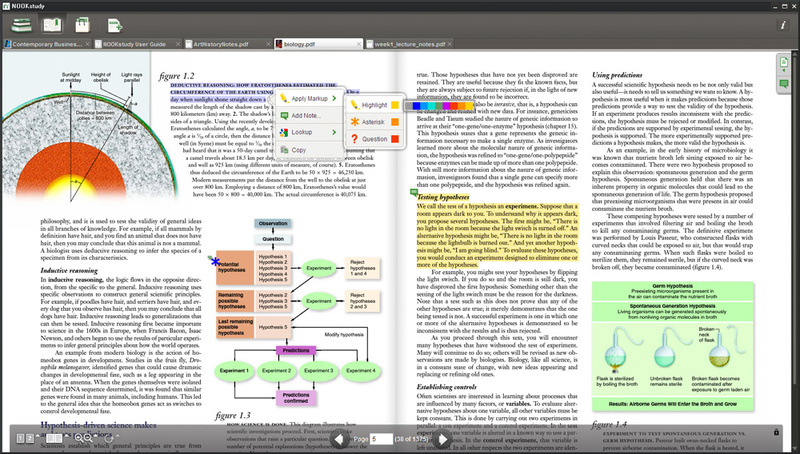 Barnes and Noble, the worlds largest book retailer, just got much bigger with its release of NOOKstudy, a free software application that allows students to access and manage all their digital media at once. The company’s slogan says it all “Study smarter, not harder.” In an age where textbooks are slowly becoming digital, NOOKstudy offers some promising and innovative features that may just place it a level beyond its current competitors. The feature packed application serves as a platform that allows students to manage all of their eTextBooks, class materials, and even notes. NOOKstudy, available for both Mac and PC, is primarily aimed at college students. According to Barnes and Noble, it was developed in collaboration with students and professors to help suit the needs of today’s students. 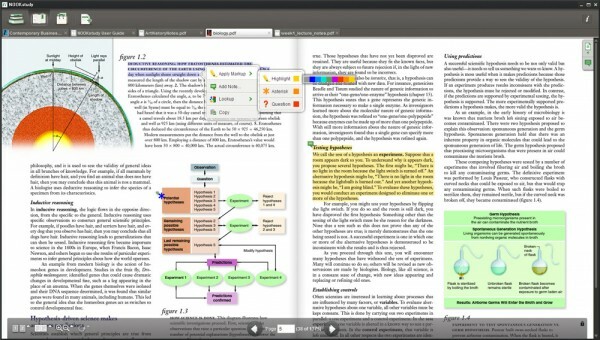 The revolutionary NOOKstudy allows users to view multiple books simultaneously. Take the scenario of a college research paper. Students will now be able to open and read through multiple books regarding the topic rather than having to close one before opening another. The platform even allows students to highlight and take notes on top of the content they are reading, which may come in handy for students. Better yet, the NOOKstudy organizes and makes notes searchable for future reference. Barnes and Noble stated that NOOKstudy will be compatible with the company’s entire digital catalog. Given the fact that the company already has contracts with many college campuses to distribute educational material, the service already has a huge base to tap into. The NOOKstudy might appealing to students since it can potentially save them up to 40% on textbooks. As a college student , I have to say, that sounds pretty enticing. While I originally despised the entire digital media trend because I was unable to take notes and make comments while reading, the NOOKstudy now offers a solution. For penny saving college students, the NOOKstudy may help drive down the prices on textbooks. Even if Barnes and Noble fails to revolutionize the digital textbook industry on it’s own, existing and emerging competitors will surely bridge the gap with affordable pricing structures. Study smarter, not harder? Sounds like something every single student out there wants. Since Barnes and Nobles is already a part of so many universities, the NOOKstudy definitely has potential.